As thrilling as it is to watch our friends get married, don’t pretend you aren’t sent into a mini-panic attack by the amount of money you’re expected to spend as a wedding guest. From the gifts on the registry, to new clothing if your closet is too casual, to the travel expenses for a destination wedding, to daycare if you can’t bring your kids — that stuff really piles up. In fact, American Express reports that, on average, it piles up to $703 per wedding, and $893 per wedding for Millennial wedding guests. Americans spend 6 times more money on weddings than Europeans.Like ATTN: Video on Facebook. And we’re still in the summer season, guys, aka WEDDING SEASON. 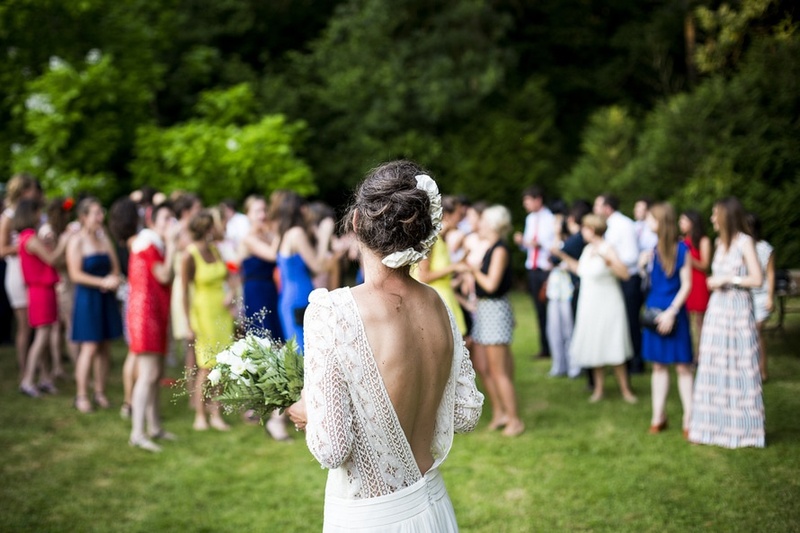 So, what is a wedding guest on a budget supposed to do?! But unfortunately, you may end up having to pay for things you aren’t anticipating, so incorporate that into your budget. Natasha says, “Give yourself a little bit of breathing room by setting a range” — it will help you avoid spending money you don’t have, and you may end up with money leftover for your savings account. ***TIP FROM THE AUTHOR*** More than once (so, twice), I have discovered a gift from a friend’s wedding registry at a thrift shop — unopened, unused, and in perfect condition. Just saying. Weddings are expensive af, but they are also beautiful, important milestones. Thankfully, there are ways to support our friends without going broke!